Hibbert started his career in his native Lancashire with his home town team Golborne Juniors and nearby Newton-le-Willows and Bryn Central before signing for First Division Bury in May 1906. He quickly became a first team fixture and scored regularly as he played mostly at Centre Forward with a few games at Inside Right and Inside Left. Hibbert was not very tall, but quite diligent and enthusiastic on the pitch. He won his only England cap on 2nd April 1910 when Scotland won 2-0 at Hampden Park. At Gigg Lane he scored ninety-nine goals, of which seven were from the penalty spot, in one hundred and seventy-eight League games and a further six goals in ten F.A. Cup appearances before Bury were struggling financially and on the field, and were relegated at the end of the 1911-12 season, and he joined First Division Newcastle United in October 1911 for a then record fee of £1,950. Once more he was thrust into the spotlight as the Magpies finished third in his first season and by the time the First World War brought an end to the Football League fixtures he had scored thirty-seven goals in one hundred and fifteen appearances. 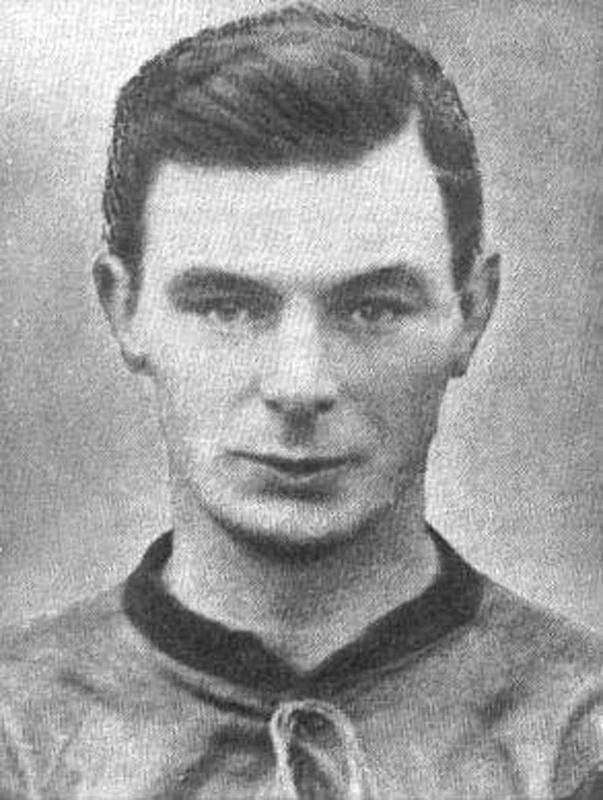 As Newcastle United refused to play during the Wartime, their players guested for other clubs and Hibbert turned out for The Wednesday, but when Leeds City were without the services of their star player Clem Stephenson for the vital League Championship Final Play-offs against Stoke, they turned to Billy Hibbert to fill the gap and so his first two games for Leeds City were at Outside Left in the games that saw them crowned the Unofficial Champions of England at the end of the 1917-18 season. He made a large contribution to their victory by scoring the opening goal in the first Leg at Elland Road. He stayed on with Leeds City until just before the Christmas fixtures in the 1918-19 season. On resumption of the Football league he was once again with Newcastle United, scoring nine times in twenty-six League games, in what proved to be his final season with the Magpies. He played one hundred and thirty-nine League games and scored forty-six goals while he scored another three goals in sixteen appearances in the F.A. Cup. Hibbert had a short spell with Hartlepools United, he made his debut for them on 1st February 1919 at home to Middlesbrough and after scoring three times in six games he played his last game for them at Durham in a 5-0 victory on 29th March 1919. He joined First Division Bradford City in May 1920 and was at his prolific best in his two seasons there scoring twenty-six goals, of which two were from the penalty spot in just fifty-three League games. He also scored another two goals in six F.A. Cup appearances. Bradford City were relegated at the end of the 1921-22 season and Hibbert moved to First Division Oldham Athletic in May 1922. He stayed at Boundary Park for just one season until the Latics also were relegated. He scored four times in sixteen League appearances and also played in one F.A, Cup-tie without scoring. He was one of several English players who went to the USA to play in the new American Soccer League. In 1923 he joined Fall River Marksmen but only played four games, scoring once, before moving on to J & P Coats Rhode Island for the rest of that season. He also played for them for the entire 1925-26 season. He played fifty-six games; scoring twenty-four times. He returned to Lancashire to play for Burscough Rangers and he also was with Real Gimnastico in Spain in June 1927. After his playing career finished he was a coach in the USA, Spain and at Wigan Borough before moving to Blackpool in 1938. He lived and worked at Blackpool and died there on 16th March 1949, aged sixty-four.